Daily Mirror - Madush's arrest: DPL passport holder a Kamuburupitiya PS Member? Madush's arrest: DPL passport holder a Kamuburupitiya PS Member? Unconfirmed reports that came out yesterday suggested that the diplomatic passport holder who attended the extravagant birthday bash thrown by wanted underworld drug kingpin Makandure Madush in Dubai, was a member of Kamburupitiya Pradeshiya Sabha. Popular singer Amal Perera, his son Nandimal and actor Ryan Van Rooyen were amongst the 31 Sri Lankans arrested at a leading six-star hotel in Dubai. Reports showed that three officials were also present when the raid was conducted by the Dubai Police. The officials at the party thrown by the drug lord included a diplomatic passport holder, a police constable and a prison guard who were joined by several wanted underworld criminals. When contacted, Commandant Police Special Task Force Senior DIG M. R. Latheef told the Daily Mirror though such information was reaching them, they were still to verify these facts. 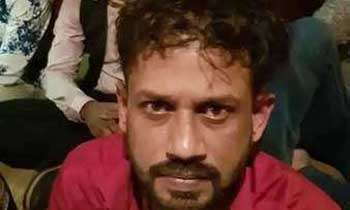 DIG Latheef, who acknowledged the receipt of a letter commending the actions of the STF coming under him sent by Prime Minister Ranil Wickremesinghe yesterday, said that presently the Ministry of Foreign Affairs as well as the Ministry of Defence are in touch with officials in the UAE with regard to extraditing these criminals. Meanwhile, further investigations into the multiple arrests in Dubai had revealed that Madush had spent over Rs.30 million for the party held in the 6-star hotel and had arrived at the event in an expensive limousine. A 'PS' member being given a diplomatic passport? What a shame! Shame on the word 'diplomatic' . For sure the holder won't be able to even pronounce it. So many were given such passports, can't they recall them? Tell us if Pradeshiya Sabha Member was pohottuwa, SLFP, JVP or UNP. It is important for us, voters. Does it really matter ? Need to find out who or the department issued it. I think only Members of Parliament are entitled for Diplomatic Passport. yes we all witnessed the diplomacy leaking from the very back end of the parliament few months ago. Sri lankan law never punished the culprits. Kaburupitiya, down south, infested with patriots. May I we have a clue? OMG!!!!.... DPL passports to provincial council members???? Oops! Kamburupitiya, the hot bed of patriots. My favorite "People's Channel" is mum, Does that give a clue of how the man is? Has the Gamarala blown the hat? A lot of questions, Nice. A police constable, prison guard and diplomatic passport holder. Wonder what they were doing there! why is that names of political and high ranking officer crooks are never mentioned or published in Sri lanka? Congratulations Executive president Maithripala Sirisena for your first attempt as drug eradication program started couple of weeks ago was a huge success.I hope and pray Sri Lanka would go in the right direction.My concern our younger generation should reach the next level of Sinhapore in 2020 with the Dynamic President of Sri Lanka. Was this hotel owned by Mahinda Rajapakse? If this incident took place in Sri Lanka, they will never be arrested. Even if they were arrested it will be matter of hours and will be out doing the same. Thank you. Dubai! Madush should have invited a priest too. Singer, actor, manthiriya, prison official, army/police official would be complete lot of invitees.